The first flight to Zhukovsky was conducted by Belavia. Moscow’s fourth and newest international airport in the city of Zhukovsky in the Moscow region has received its first flight from the Belarusian capital of Minsk, a TASS correspondent reported. An official at the airport told TASS that the flight was conducted by the Belarusian national airline, Belavia. The Boeing 737-300 aircraft with 133 passengers onboard landed at the airfield, and 88 passengers are expected on the return flight. "Belavia planned to use an Embraier 175 aircraft for flying to Zhukovsky, but due to a higher demand for tickets it replaced it with airliners with a larger seat capacity," the official said. Zhukovsky International Airport was officially opened in May. 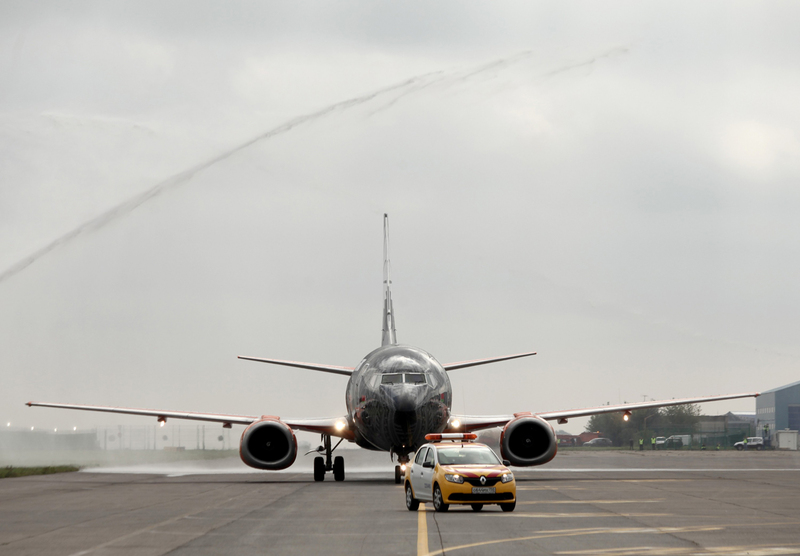 Currently, Minsk is the only international destination one can fly to from the new airport. Earlier an official with Belavia told TASS that the Belarusian air carrier will continue flights to Minsk also from the Domodedovo airport. According to the data on the Belavia website, a flight to Zhukovsky International Airport will cost nearly half that of a flight from the Domodedovo airport. For example, on Sept. 12, the cheapest price for one of the five flights to Minsk via Domodedovo was 50-85 euros while the same flight via Zhukovsky costs 30 euros. Earlier, several Russian air carriers stated their intention to launch flights from the Zhukovsky airfield, among them are Ural airlines, Yamal and Wim-Avia. They have already received licenses from the interdepartmental commission at the Transport Ministry to conduct regular international flights from Zhukovsky. The air carriers plan to fly to Austria, Germany, Bulgaria, Hungary, China, Czech Republic as well as Tajikistan, Kyrgyzstan and Kazakhstan. A Yamal Airline official told TASS that the air carrier plans to start flights from the Zhukovsky International Airport in October.